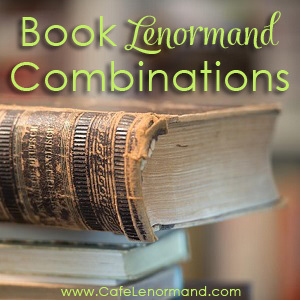 These Lenormand Book combinations are meant to help you learn how to read Lenormand combinations. Please note that not every possible Lenormand Book combination is on this list. As you learn Lenormand, you'll find that the total number of combinations is endless. Until then, use these Lenormand Book combinations whenever you want to double-check your interpretations of a spread or need a helping hand in a reading. What do you think of these Lenormand Book combinations? Let me know in the comments below. I'd love to hear from you! I’m glad you’re enjoying it Armando!